A series of blog posts around Microsoft Cloud and Datacenter technologies, specifically Azure Cloud, System Center and other various Microsoft technologies. 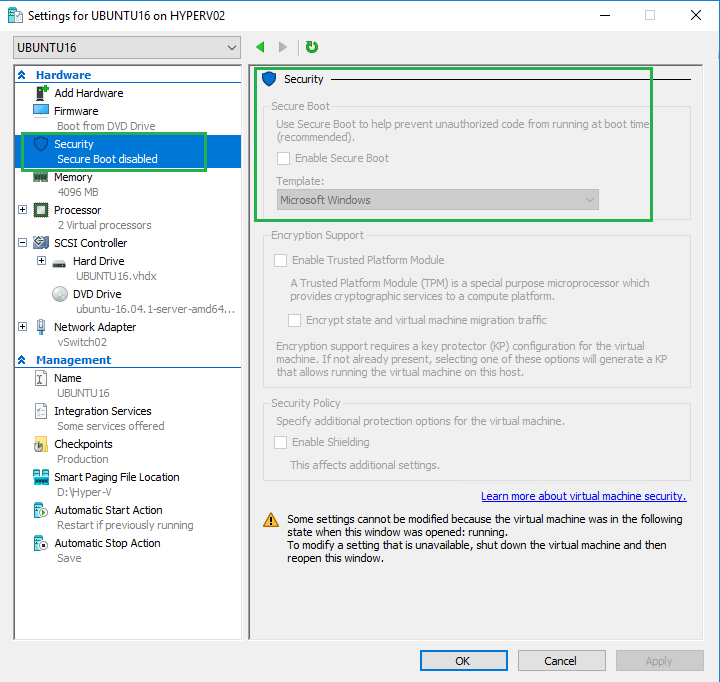 What’s new in System Center Operations Manager (SCOM) 2019? Sometimes a domain controller (DC) just needs to be decommissioned for whatever reason, let’s say an upgrade, or corrupted VM and the roles are now seized.. nevertheless, moving the FSMO (Flexible single master operation) roles can be done via the UI, however if you want to speed things up and do it with PowerShell, here is how to that. In my scenario, I am decommissioning my Hyper-V server which at the time was acting as the primary DC. Now that it is being decomm’ed I need to transfer the FSMO roles to another DC. The destination DC is “DC01” in this case. You have the option here to specify a numerical value or specifying the role itself. See below for the number assoicated to each roles. You could input each role, or as I did, just input the number(s). To verify the FSMO roles have been transferred, run the netdom query fsmo command. If you’re like me, you want to run Linux on your Hyper-V 2016 host, in my case I am attempting to run a Linux Ubuntu 16.04.1. Booting from an ISO, I kept getting the same error over and over. “PXE Network Boot using IPv4 ( ESC to cancel ) Performing DHCP Negotiation….“. After realizing it wasn’t the ISO media. It wasn’t the size of the VHDX. It wasn’t the memory/vCPU or vNIC configuration. It wasn’t even due to the fact it was a Generation 1 or Generation 2 VM…. It was Secure Boot function. Within Hardware > Select Security > Disable/Uncheck “Enable Secure Boot” > Start your machine back up!